It wasn’t the taste of sushi or the kindness of strangers that hooked American magazine editor John Einarsen on Japan on his first visit in November 1974. The memory testifies both to Einarsen’s singular vision and his affectionate take on Japan, both of which have sustained him as the founder and continuing editor of Kyoto Journal, an all-volunteer triannual magazine focused on Japan and Asia that is now in its 23rd year. While other, more commercial publications are folding like origami, Kyoto Journal has managed to thrive, pulling in high-profile contributors like Pico Iyer and Gary Snyder and garnering awards like the Utne Reader Independent Press award for magazine design. Einarsen was born in Denver in 1952, the oldest of three siblings. His father, a high school science teacher, took the family on trips around the country every summer, and Einarsen grew up with a love for the outdoors, drawing and books. Life turned eventful in his first year of university when, along with many of his male cohorts, he faced a choice: being drafted and likely army combat duty in Vietnam or enlisting in the military and hoping for a kinder fate. He signed on as a navy seaman two days before he was to be drafted — in 1972. 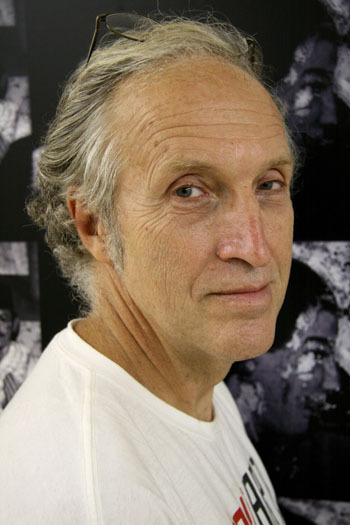 After his return to the U.S. in 1974, Einarsen attended an experimental college, Prescott College, in Arizona, where, along with rafting and climbing volcanoes, he studied photography with Jay Dusard, a student of Frederic Summers. “The school went bankrupt six months later, but I learned a willingness to try new things there that is still with me today,” he said. Einarsen transferred to the University of Colorado, where he studied art and Buddhist aesthetics under artist Ludwik Turzanski. “I didn’t feel comfortable in America,” he said. So after graduation in 1978 he returned to Japan, studying Japanese and Japanese art at Kansai University of Foreign Studies in Osaka for six months. For several years Einarsen taught at various English-language schools and universities around the Kansai region and in Hokkaido. By 1984 he was living in Kyoto, teaching English at the YMCA and forging an expansive network of artistic and literary friends, both expatriate and Japanese. He and a friend began holding weekly poetry meetings at his house, which became a salon of sorts for many in the Kyoto expat community. The school has financed the magazine ever since. Today, circulation is 2,800, with many copies sent to libraries and book stores, mainly overseas. With the other starting staff, Einarsen recruited work from poets and artists, friends and acquaintances, editing and pasted them up with spray nori starch, then faxing the pages to a typesetter in Osaka for layout and production. 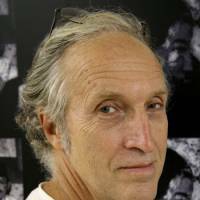 The editorial approach was heavily influenced by publications like the CoEvolution Quarterly, a journal by Whole Earth Catalog founder Stewart Brand that blended the arts, spirituality and Asian cultures. Although Einarsen seems relaxed in person, sprawled in a chair wearing an antiwar T-shirt, with eyeglasses perched atop graying hair, his unstinting editorial standards over the years have cost him his health. “I suffered from panic attacks for 12 years,” he confided. Trying to oversee Kyoto Speaks in 1991, a sprawling special issue with 58 contributors, actually sparked a nervous breakdown. “Too much coffee, pipe-smoking and late nights just overworked my nervous system, I think. It got so I couldn’t even speak in front of a class,” he said. Although he still suffers in public appearances, he credits the experience for expanding his editorial reach. Despite — or because of — their devilish complexity, Einarsen takes special pride in Kyoto Journal’s theme issues, which have covered topics as varied as gender, the Silk Road and Asian street scenes. Before working on a theme issue, he said, he reads stacks of books on the theme and lets the visual and editorial ideas germinate, as he sketches thumbnails of ideas in his notepad. “We see what comes in editorially. Usually there are resonances and things play off other things to give us new ideas,” he said. The magazine, with the theme “Biodiversity: Japan’s Satoyama and Our Shared Future,” was passed out to 800 delegates and other participants at COP10, including actor Harrison Ford and COP10 Executive Secretary Ahmed Djoghlaf, with nearly everyone seeming to have one tucked under their arm at some point. “If one of the delegates is looking through this and gets a positive idea, then we’ve succeeded,” Einarsen said.